This is my introduction for the "Grow Your Blog" 2015 Party. I grew up in a quilting household. There was always a quilt in the frame in my house. 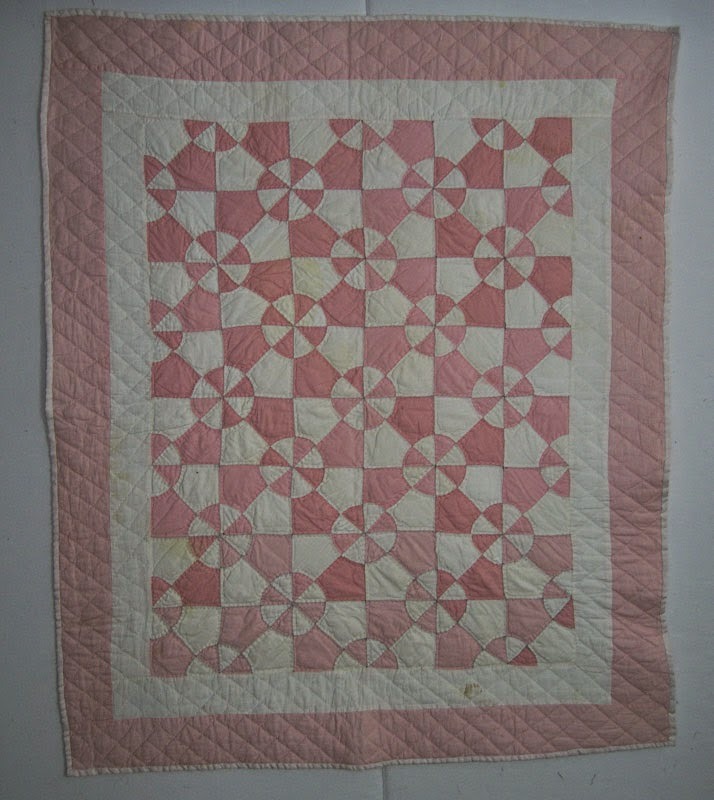 My mom's parents were both quilters. My Gramma quilted with the church ladies at Zion Lutheran Church in St. Louis, MO regularly. This is a photo taken of that group of ladies around 1960. Gramma is second from the left. I don't have any photos of my Grampa actually quilting, but this is one of the quilts (in the Hearts and Gizzards pattern) which he hand-pieced and left for me to finish. It was the first time I ever hand-quilted something. I put it into my hope chest and used it for both of my babies. They were boys, but the color didn't matter to me because it was so special to have it. 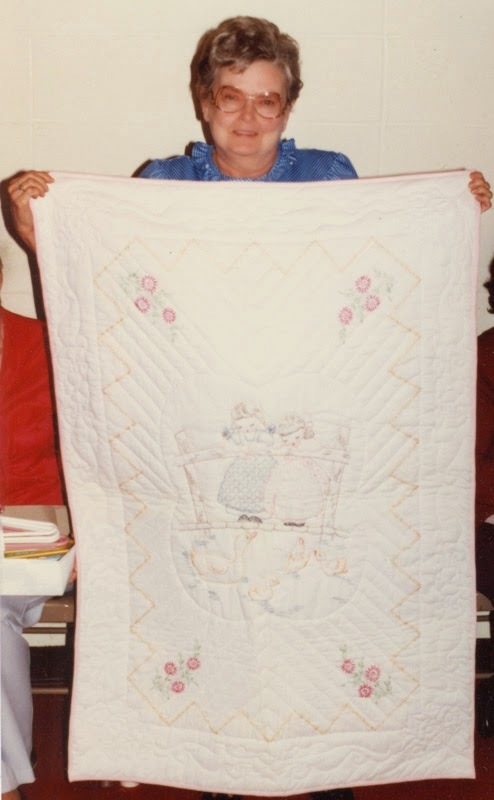 This is my mother with one of the baby quilts she was famous for making. She made many quilts during her lifetime so this picture is special to me, as it is the only quilty picture I have of her. And this is me! I'm Sandy. I grew up in St. Louis with my seven siblings and lived there, with the exception of a few short years, my entire life until moving to Huntsville, AL to be closer to our grandchildren. I home-schooled my two sons, Adam and Aaron from baby through high school and then continued being a stay-at-home mom. I have been married to Sweet Adorable Hubby, Philip, for almost 40 years. I am Gramma to Noah, Gavin, and Aidan and MIL to Brandy. Besides quilting and spending time with the grands I love to read, knit, and play around with photography. Quilting has become my real passion. Every quilt I make is special, and I hope they bring joy to the people who receive them. I wish I had time to make a quilt for every single family member and dear friend in my life. And I often think about how proud of me my mother and my grand-parents would be, if only they could see the quilts I make and how much I enjoy making them. 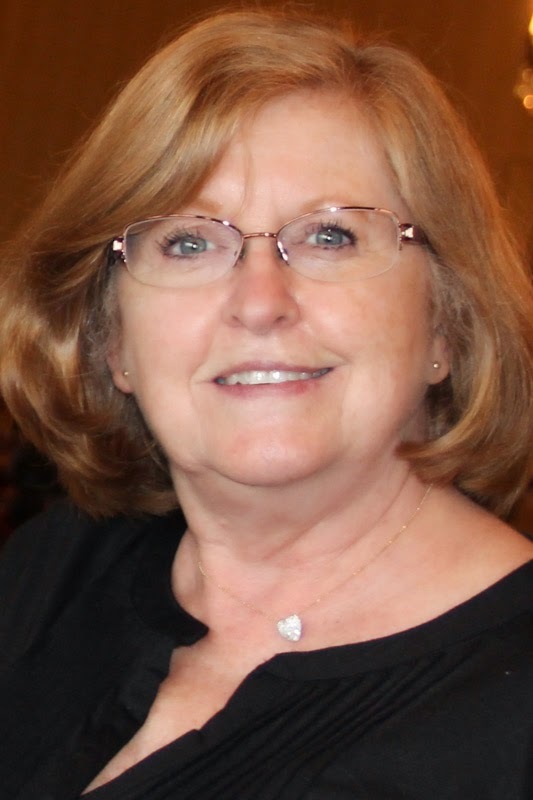 A big "Thank You" to Vicki at 2 Bags Full for organizing the Grow Your Blog Party. I hope you will check out her blog as well as some of the other bloggers participating. I have to apologize to anyone who left a comment for me. Somehow I deleted all the published comments, and I feel bad about that. I really appreciate comments, so I will be careful not to do that again. These are the comments I accidentally deleted. Hi Sandy. I love your stash. Those purples and ivory are going to make a lovely quilt. I don't do hand quilting, I prefer machine quilting. On behalf of Vicki thanks for joining ‘Grow Your Blog'. Looking forward to following your blog and can’t wait to see the purple quilt evolve. Hello Sandy. Lovely family you have. You probably always lived in a house full of fabric with all these talented people around you? What fun that must have been!! Love the purple / ivory fabric. Those were my wedding's colours. Can’t wait to see this quilt evolve. Hi Sandy! Visiting via GYB form the STL metro area in IL. I’m also a quilter and am now inspired to go check out The Sew Your Stash group! Thank you for swinging by my blog because that means I have discovered your lovely blog, Sandy. Oh my goodness the quilt your Grampa fashioned is beautiful. I am quite certain your mother and grandparents would be terribly proud of the lovely quilts that you fashion. Love all your stash fabrics! What this party is all about is to GROW your blog and I'm hoping to do the same. When you get to Section One, check out A Country Chic Retreat and SuZeQ Creations, my personal blog, in Section Fifteen I’d love for you to follow and subscribe to. Hello Sandy, I'm visiting via the GYB Party at 2 Bags Full. I enjoyed reading about your quilting heritage and your quilting grandfather; an unusual hobby for a man in those days, I should think. I love your sewing room photos and all that stash! WOW! 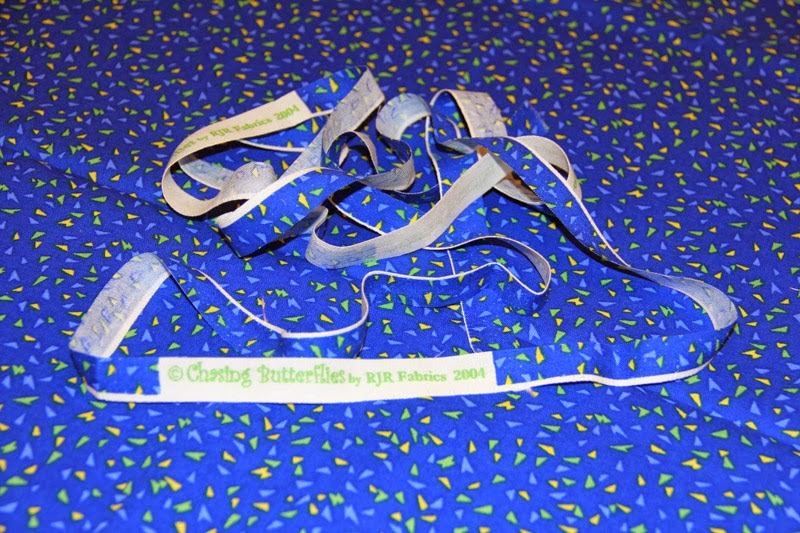 I am now following your blog and look forward to seeing how your purple quilt develops. I'm a little late for the party but glad I finally made it. I love your stories about your mom and grandparents. What lovely quilts to cherish. Visiting from St. John's, NL Canada via GYB. Following you via bloglovin. Thanks for sharing your photos and quilts. visiting from GYB...enjoyed looking at your Sew My Stash fabrics...it's like looking at jelly beans...and just as yummy...fortunately, not as fattening!!! Blog hopping with “Grow Your Blog”. Its so great to meet you. Wishing you the best!! Nice to meet you Sandy! I'm visiting from GYB and following via Bloglovin! Your mother would be proud! Love the Hearts & Gizzards your grandpa started. It's precious! Inadvertently deleting comments - oh how I identify with doing things like that!! Computer-eze isn't my first language that's for sure. Thank you for inviting us in for a visit.